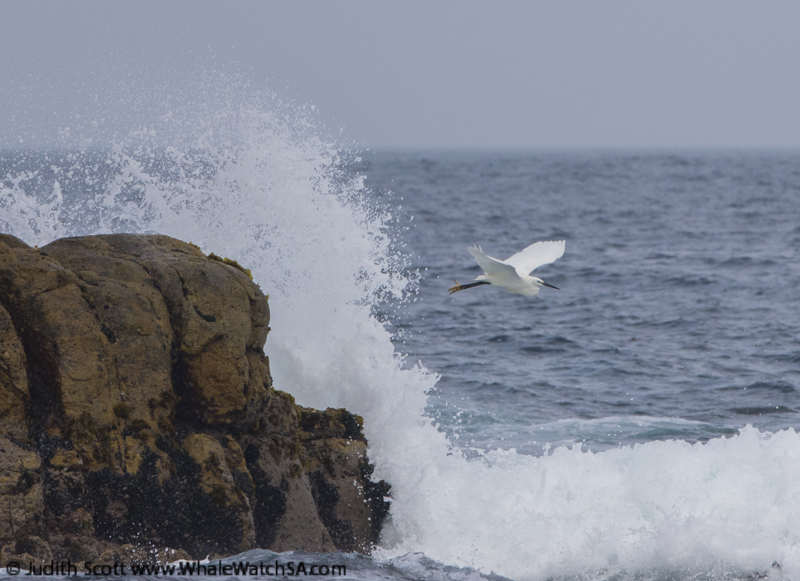 The wind was due to pick up in the late afternoon today, so we had 2 early morning tours today, both spotting some gorgeous wildlife in the bay. 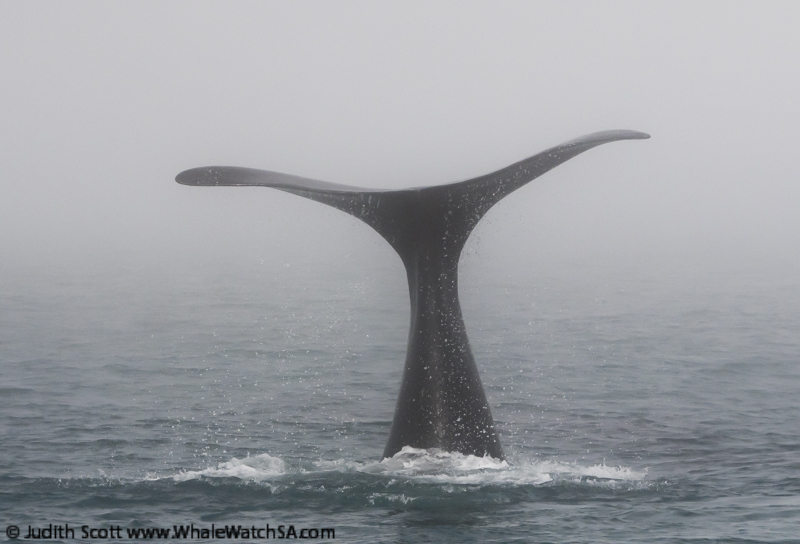 The tours were completely different, with the first experiencing an exhilarating fog blanket covering the turquoise ocean, whilst the other was choc-o-bloc with whales around the kelp forests of The Clyde. 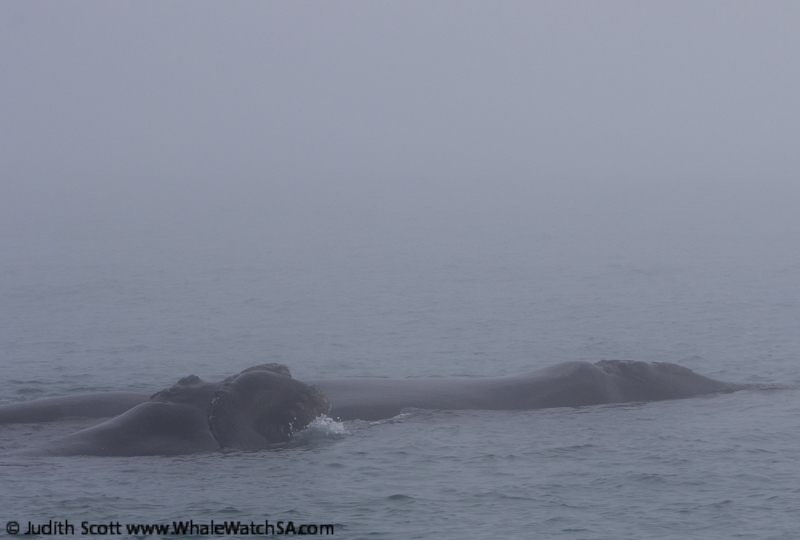 The first tour of the day set out into the mist, making our way into shallow water where we were hoping to spot some whales. 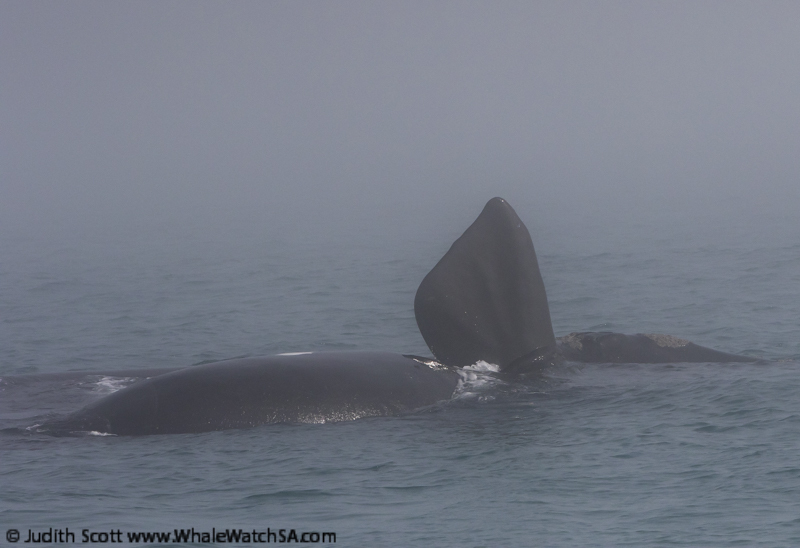 The mist is not all too common here and definitely makes it a little trickier to spot wildlife, but, luckily, we know where to look and we were soon between some Southern Right Whales. 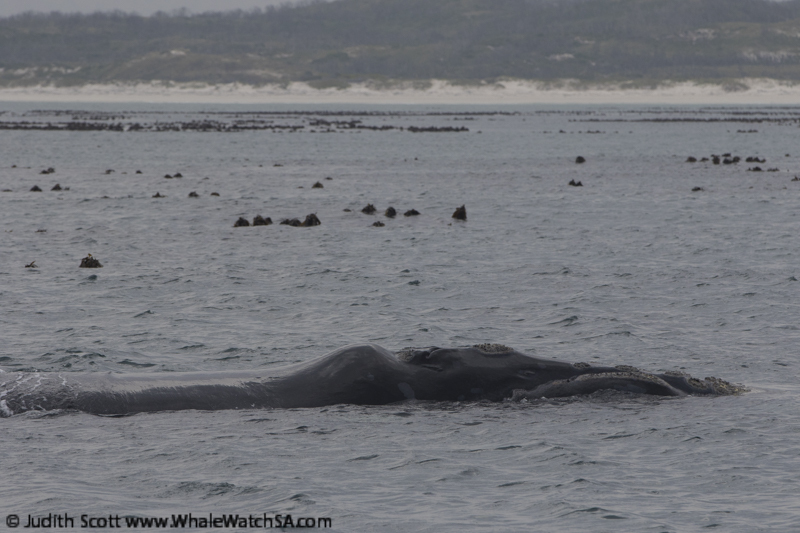 We had a mother and calf that we spent our time with here, and we really could not have asked for more from this pair. 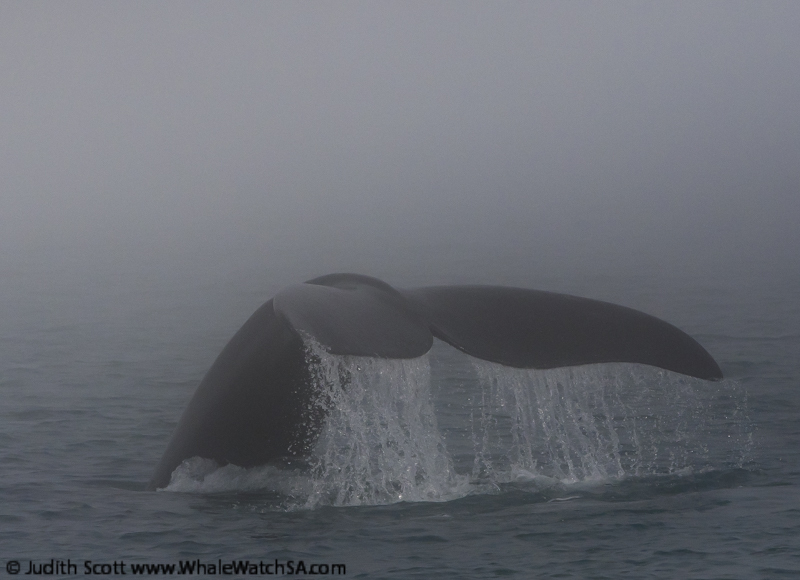 After giving a few very close passes, the incredible little calf began to lobtail in the mist, creating one of those sights that cameras can never quite capture. 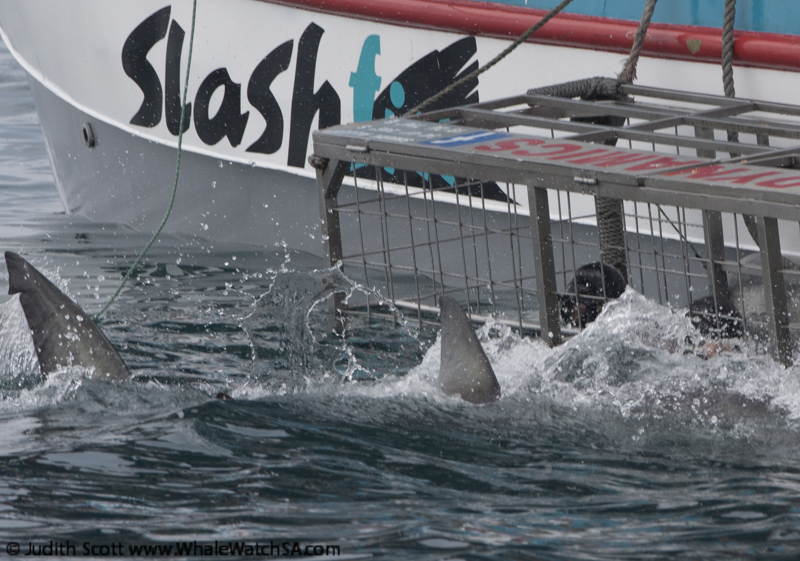 We were left breathless by the sight of it all, and after watching as baby slapped its tail against the water, we slowly head on over to the cage diving boats to try to spot a shark. 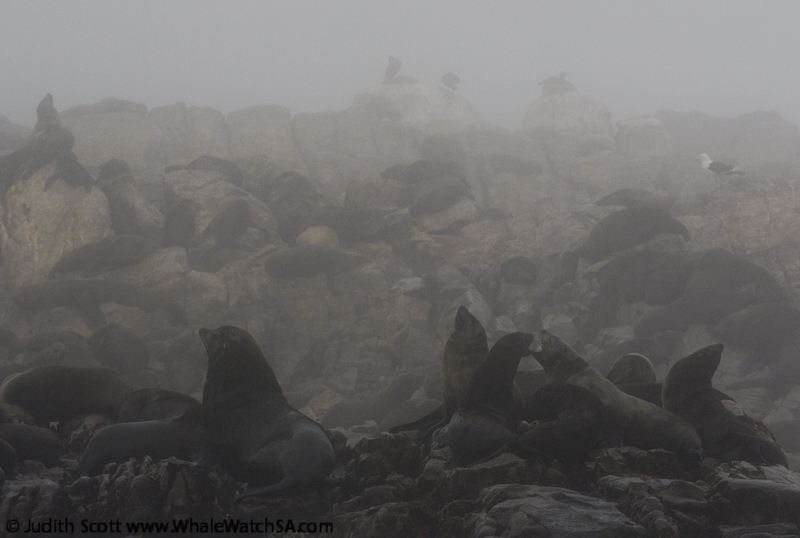 We were in luck, finding a Copper Shark at one of the boats before making our way to Dyer island as the mist began to roll in after a bit of a clearing. 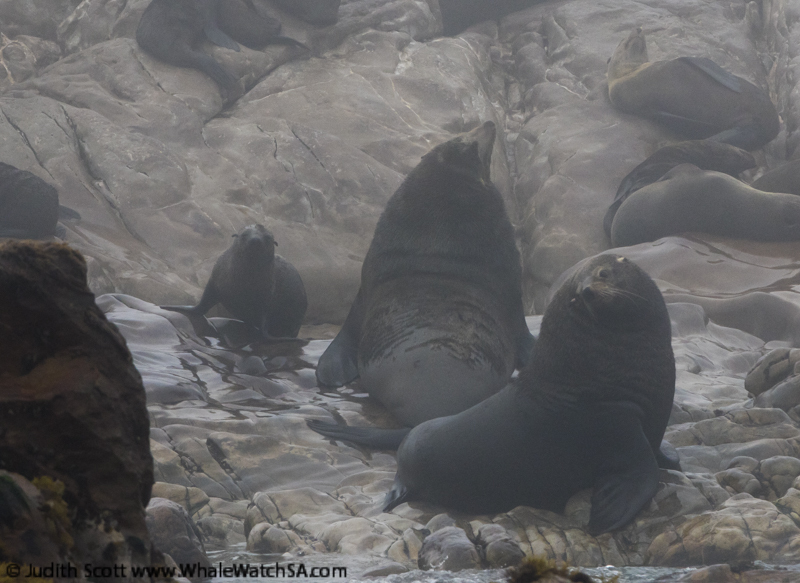 This meant that we were treated to the spectacle of Cape Fur Seals in the mist, which is certainly something to behold. 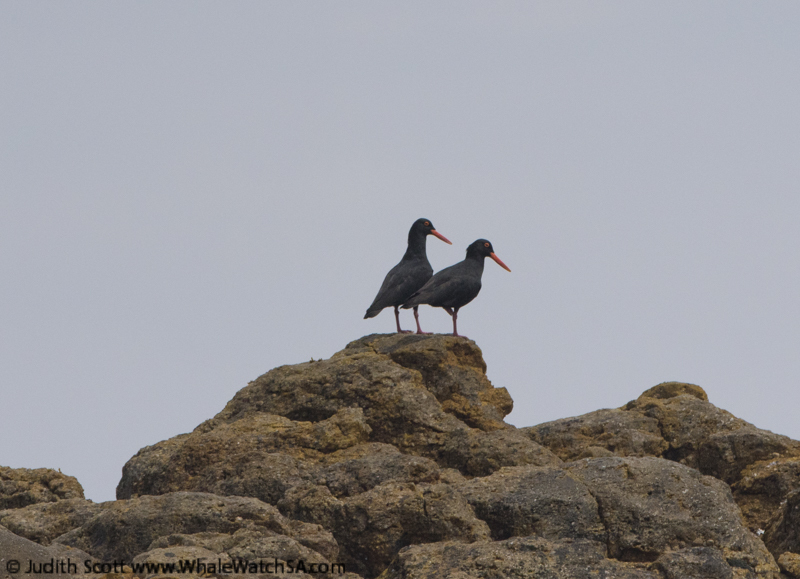 By trip 2, the fog had cleared, and we set out straight for Slashfin to catch up with them before they finished their tour. 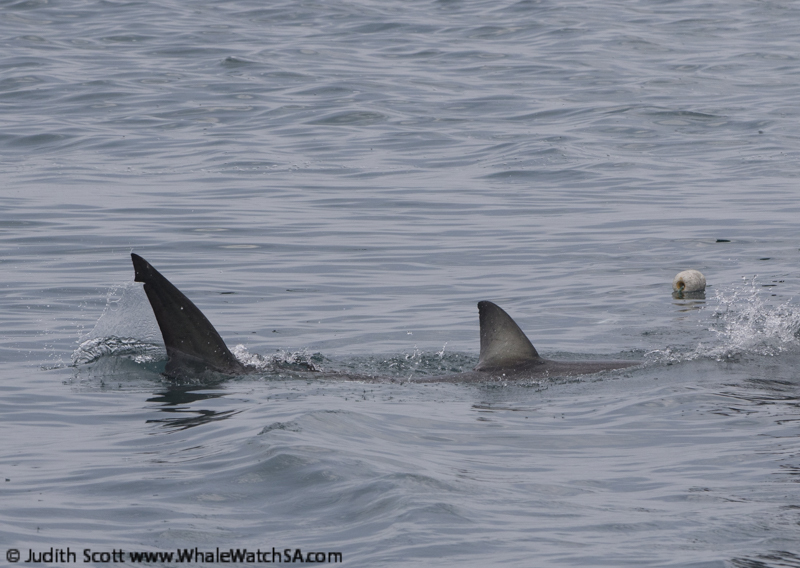 As luck would have it, we were given the view of a lifetime when a juvenile Great White Shark popped up to play. 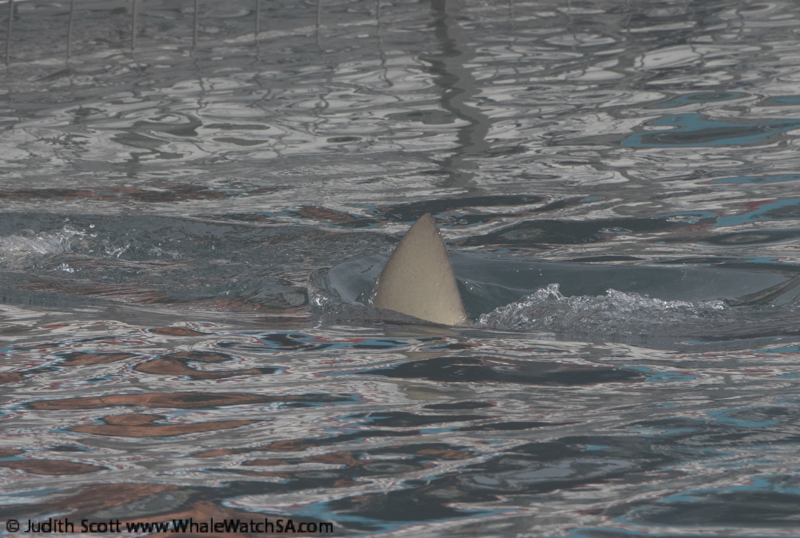 This shark was around 2m in length and super active around the boat, giving us some great photographic opportunities as it lunged at the surface. 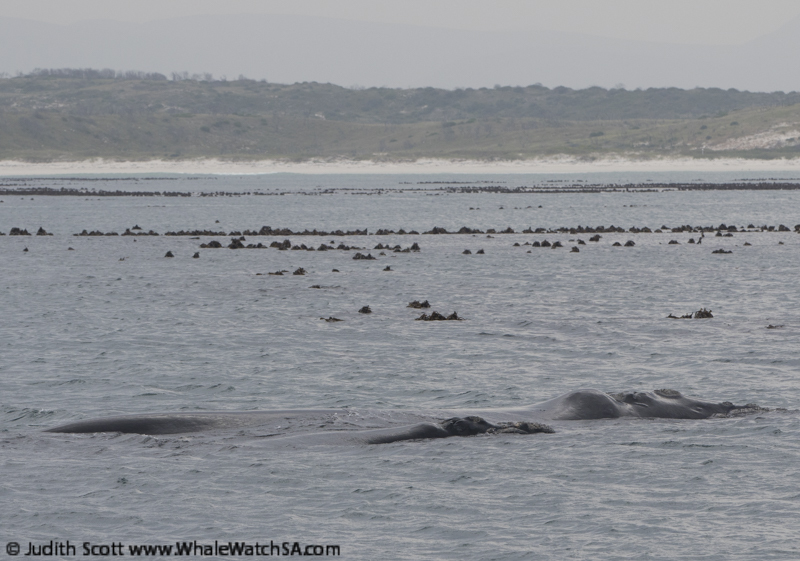 We stopped by some whales next, spending some time watching some more mom’s and calves gently travelling over the reef system running between Dyer Island and the mainland. 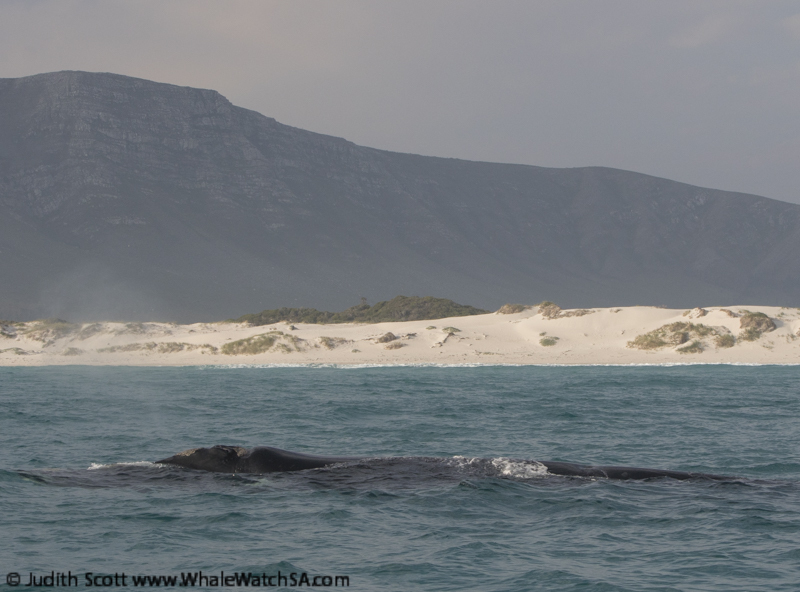 Some of the calves were a little curious and playful, showing off for the boat with a few waves from the flippers. 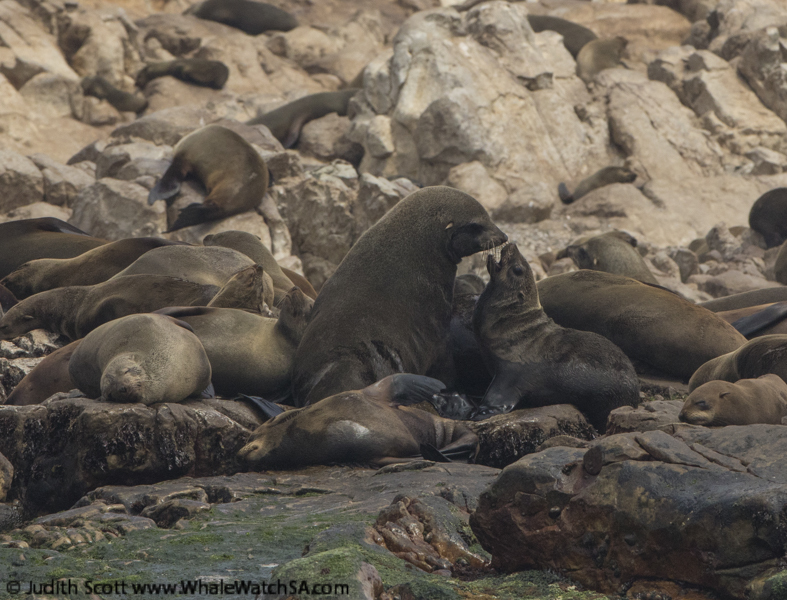 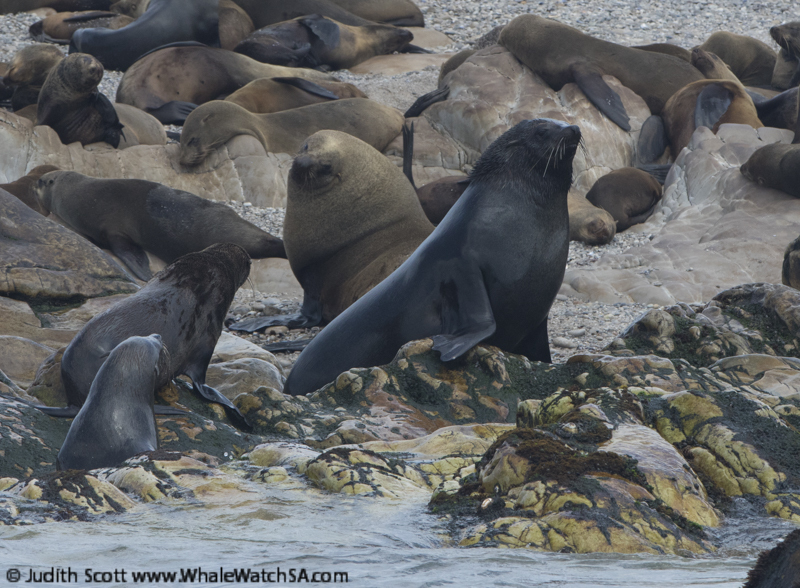 Once we’d cruised with a couple of groups of whales, we moved on over to Geyser Rock next to check out what our resident fur seal colony was up to. 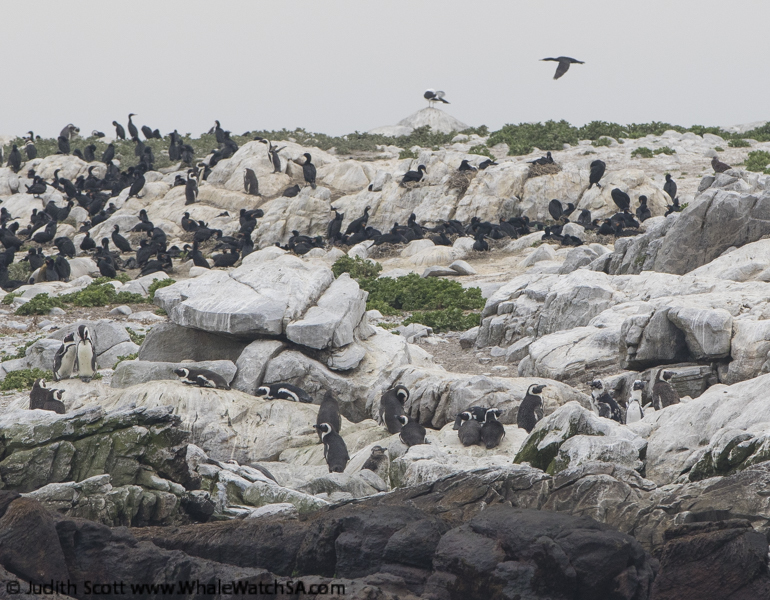 We then finished the tour off with a stop over in Sponge Bay where we got to point out some African Penguins sitting on the rocks. 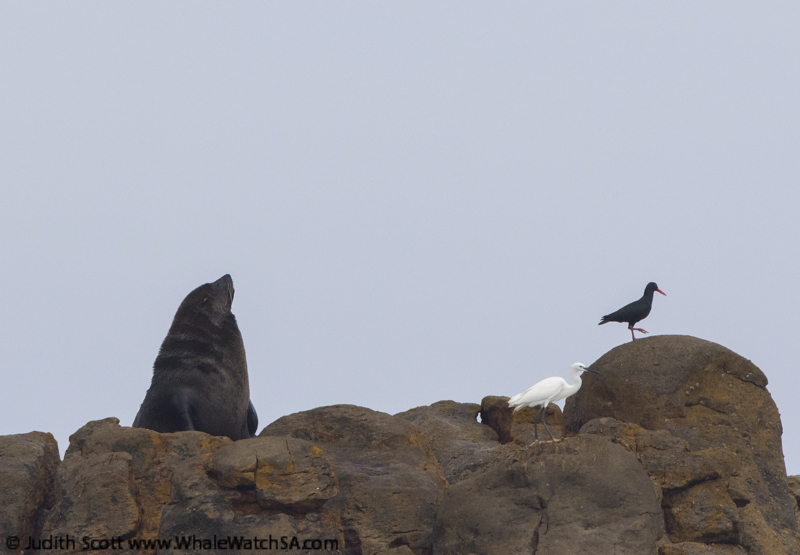 Cape fur seal with an African black oyster catcher and a little egret! 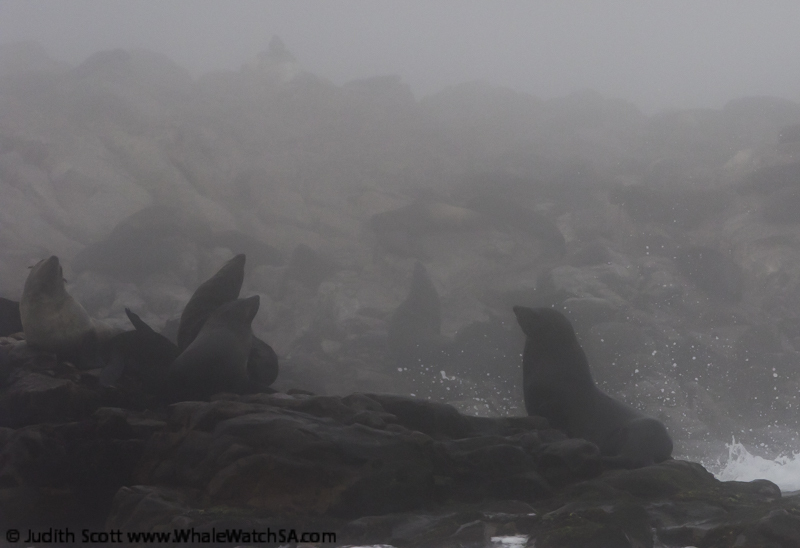 Cape fur seals in the fog!